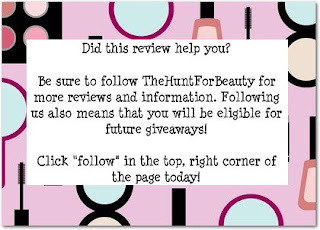 This is a very untimely review, as I found out these have been discontinued and replaced by a new line of Dior Addict glosses, now just called "Ultra Gloss." However, I still wanted to review these because I really love these and feel like they're worth searching out and/or picking up if one comes your way. 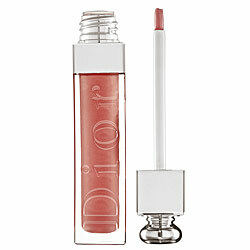 Dior Addict Ultra Gloss Reflect comes in a cute tube (shown above), with a very high-quality brush applicator. The tube is a nice size for on-the-go, and it feels very sturdy...definitely not something you have to worry about tossing around in your purse. I only own one of these, unfortunately, so I will go ahead and review that shade. 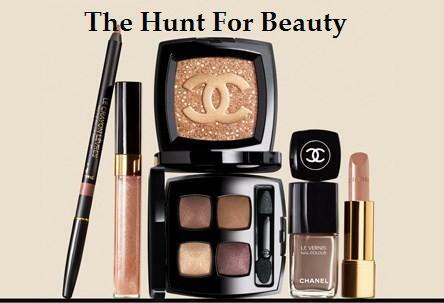 I have noticed that my shade, along with others, is still available on certain sites. If you're considering buying any of these, do it now before they become super hard to find and the prices start to rise. The shade I have is 127-Beige Velvet. It's very close to my natural lip shade, so it's a definite MLBB (my lips but better) shade for me. It's the perfect mix between pink and brown...not so pink that it appears rosy, and not so brown that it appears brown on the lips. It appears to be very pigmented in the tube and especially on the brush, but it's actually not. Once you start applying it, it sheers out nicely without pulling a disappearing act and looking like clear gloss. The texture is what makes this one of my top picks for glosses, it's not sticky in the least. I would say it's more on the moisturizing side, which does mean that the lasting power is significantly less than that of a stickier gloss, but that's not something I mind. Personally, I would rather reapply a moisturizing gloss more often than I would wear a really sticky gloss all day. This particular shade has no sparkle or glitter to it, it's totally "matte." The level of shine is perfection, in my opinion. It's more of a sheen than the unnatural and vinyl-like high-shine that some glosses provide. It's something I can wear during the day without feeling like the sun is reflecting off my lips and blinding the people around me. So, are these worth searching for? Yes. I find myself reaching for this gloss more than I do for most of my others. Between the moisturizing formula, brush applicator, pigmentation, and perfect sheen, it can't be beat. I wish I had known about them being discontinued sooner, so that I could have bought a few more in other colors.